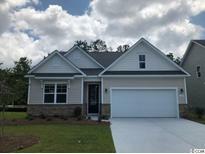 Find Little River, SC Homes for sale. View Photos, Maps and MLS Data Now! The amenity center and pool are now open. MLS#1909191. Come check out this great home today! MLS#1909166. The Retreat - Don't Let This One Go! ! MLS#1909162. Hidden Lakes Village - This home is a must see that will not disappoint! MLS#1909115. Lots more to come and see! MLS#1909089. Sand Ridge - Low Horry County property taxes, Low HOA dues and connected to public water & sewer. 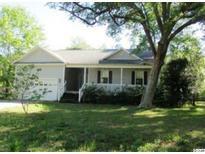 MLS#1909124. Willard Acres - Come view and make an offer! MLS#1908991. The amenity center and pool are now open. MLS#1908951. Pine Ere Acres - Come see this beautiful home and start living a relaxing life! MLS#1908892. Check out our state of the art 4-D Virtual Tour. MLS#1908828. You do not want to miss out on this home, so BOOK A SHOWING TODAY! ! MLS#1908840. 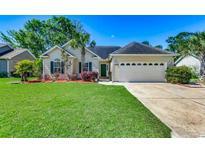 Palm Lakes Plantation - Schedule your showing today and make this beautiful property your future home! MLS#1908861. Furnished photos are of the model home. MLS#1908764. Furnished photos are of the model home. MLS#1908760. Furnished photos are of the model home. MLS#1908763. Furnished photos are of the model home. MLS#1908761. Furnished photos are of the model home. MLS#1908762. North Village - Square footage is approximate and not guaranteed. Buyer is responsible for verification. MLS#1908608. Wrens Crossings has a community pool and is located right off of HWY 17 so you will have easy access to all the local restaurants, shopping, and entertainment. MLS#1908635. To much to list this is a must see for anyone wanting to live directly on the Inter Coastal Waterway in one of the most desirable communities in the North Myrtle Beach area MLS#1908462. ** Pictures are of model meant to show representation; colors and design changes may occur in the finial design from buyer choices and/or engineering stages these are to be verified as with any new construction home. MLS#1908471. CALL TO SEE THIS Well Priced HOME TODAY ! MLS#1908457. This home won't last long make an appointment today! MLS#1908473. Go ahead, kick your feet up, sit back, and relax among the day-to-day comforts of this lovely home. MLS#1908295. Go ahead, kick your feet up, sit back, and relax among the day-to-day comforts of this lovely home. MLS#1908296.